When Hubby's mother was 7 months pregnant she started to write him love notes in a journal. She wrote him as they finished up his nursery, wrote him as she was up in the middle of the night nursing and soothing him, wrote him as he grew over the years. She wrote him a letter for every milestone, every big life event, every birthday. When he graduated high school and was leaving for college she gave it to him. It is one of the most beautiful things I have ever read and he absolutely loves it. As soon as we got pregnant, I knew I wanted to do this. The day after we found out, Hubby and I went to the local bookstore and found a journal with one of our favorite verses on it. We began to write to her that day. In our journal we decided we would both write our baby. If anything ever happens to either of us, we want her to know, without question, in our own words, how much we loved her from the moment we knew about her. We have been consistent about writing her and I can not wait for her to read it. Well, most of it. This week I had to put in my first entry I'm not proud of. And what better way to minimize embarrassment than sharing it with the entire world? But hey, this is real. I'm not a perfect person although sometimes I think I am and certainly not a perfect parent. Reese has been such a good eater. I make my own baby food and so far she has eaten everything I've made her: zuchinni, acorn squash, carrots, spinach and potatoes, roasted apple sauce, even a carrot, apple, and mango mix that I also love. The other day, I realized I could probably puree whatever we were eating and feed it to her, too. I started with homemade vegetable soup and she loved it! Awesome. As long as I make mild foods, and no dairy yet, she can eat what we eat and be exposed to all sorts of flavors. This week I made a dish that I thought was going to be really difficult but was actually super simple. I made chicken tikka masala that my friend Jenna brought over one night. It is SO delicious and I was really surprised at how few ingredients were in the recipe. I dumped them all in the slow cooker and forgot about it. That night, when Reese had finished all her green beans but was still hungry, Hubby and I thought it would be a great idea to expose her to this kind of food. I mixed a little of the food before I added the cream with some white rice and blended it. Hubby sat down to feed it to her and she really enjoyed it! As I was patting myself on the back for exposing my daughter to all kinds of new foods serving adding the cream, Reese's eyes started to water. Hubby realized there was something in her eye and started trying to wipe off her face so it wouldn't bother her. Reese was not happy with that. She started crying this weird little scream that we had never heard before. I was worried we were going to have to flush her eye out so I went over to help him out. I realized her mouth was really red and was thinking Hubby was rubbing it raw. But how could that be? He had barely wiped her face. Was she suddenly having an allergic reaction to her wipes? There was no way that was possible. That's when I remembered the one tiny, whole, intact ingredient I had added to the slow cooker 5 hours earlier. I just fed my 7 month old jalapenos. J A L A P E N O S!!!! We immediately gave her some water and then realized that just like that doesn't help us, it wouldn't help her. I began to nurse her as Hubby called my mom (who is an RN) to make sure that 3 bites of food containing jalapeno did not warrant a trip to the emergency room. She assured us it did not. After Reese, who was totally unaffected after the nursing, went to bed, I humbly sat down to write her the letter about the time I accidentally fed her jalapenos as a baby. I wrote that I felt terrible about it and probably still would when she was reading the letter, that I wasn't the perfect parent, but that I loved her like crazy. I know when she finds out I wasn't perfect she'll be shocked. I know I was. Have any of you mamas out there done something like this? Please tell me I'm not alone! What a beautiful journal! That will be such a special gift for her. i love that you're writing to her. i love writing to my little ones. anything mom my wrote me is a treasure and i want my children to have the same....and you're not alone. i accidentally cut my sons finger when i was clipping his nail. i think i cried more than him i felt so bad. I can only imagine how panicked you must have been! DEFINITELY something to laugh about... someday! thanks for stopping by my blog the other day! Im so glad to be new bloggy friend and have loved reading your blog here - i love your writing and your fam is just precious! :) look forward to more!! Oops! I will have to remember this. My hubby likes spicy foods. Since I plan on making my own baby food, I will have to be careful not to give our baby anything too spicy for his or her palate. That would be so hard! Glad she's fine though. I'm looking forward to giving Lillian her first 'real' food (she's exclusively breast fed still) and since she's 5 months old now, that day will be soon! My blog is actually an online journal to my 8 month old son. As much as I'm old school and love handwritten letters, doing the journal handwritten just didn't work for me. I think it's such a beautiful idea, though! I think all Mamas have oops stories like that! No harm done. I tried to make hand made baby food a few times and Cash wanted nothing to do with it, so it was back to Gerbers for us. I can relate with you. One time, my then one-year old son ate a whole peppercorn by mistake -- he was spewing and crying all over the place! I felt awful, seeing as I'd always prided myself in being so careful and diligent about what I'd prepare for him. Funny thing is now, at two years old, he actually has developed a taste for the spicy! Happy Sits day, and btw, I accidentally dropped something spicy into my babies eye, so don't feel bad! Later on in life, you and your daughter will find theis funny and it probably will be the reason why she won't like spicy foods. I completely get it, and you're not a bad mom. We've all done something like this. I keep a journal for both of my children. My 7 year old thinks it's fabulous to read the entries from her first year! Awwww....it happens to the best of us! Nope, haven't fed my son jalapenos yet...but I've done other things that left me wondering "Why did I just do that?!". It's all part of becoming a mother I suppose! It's just one of those things that we do as mommas that we'll be forever traumatized over, and our babes have already forgotten! I love the journal idea. I do the same thing for the same reason--my mother-in-law did it for my husband, and I cried and cried the first time I read it. Thanks for sharing your blog! You and your family are super cute! Happy SITS day! I ate so much Mexican food with my pregnancies, I'm surprised they didn't come out craving jalapenos! haha Happy SITS day! Sorry for laughing my head off with this one! I'm sure you can laugh about it now but I would have felt the same way if it were me giving my daughter jalapenos! Happy SITS day! Aww poor baby lol. I'm glad she's ok. I loved the idea of the journal! I wish I had heard of it before I had children. I so would have done that! Glad it didn't hurt her. You will laugh about it when you can talk to her about it years later and you'll probably tell the story many times over. My daughter played soccer for many years. She was very good and played hard, never wanting to come out of a game. In one game she was slide tackled pretty hard. She came out. I expected her to jump right back in. She said her foot hurt. I told her to jog up and down the sidelines a bit to see if she could work it out. After jogging on it a while, just like her mom had told her, she told me it hurt too much to go back in. The next day we found out it was broken. Yes, I felt like the worst mom in the world. You are most definitely not alone. 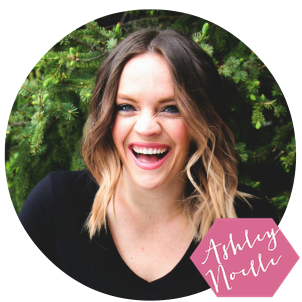 Just started reading your blog after this month's Girl Behind the blog vlog linkup and I was blog creeping. Loved this post, and it makes me feel better about some of my own mistakes! It particularly reminded me of when I was all-too-vigorously applying hand sanitizer after a diaper change, as my 3-month-old son was still on the changing table. All of a sudden, he let out a screaming cry like I'd never heard (just like the jalapenos!) and I realized I'd flung a drop of sanitizer in his EYE. Which warranted a call to Poison Control, according to Dr. Google. They said to keep washing it out with water, which he hated, but not to worry. Ugh. Not my finest moment!